← Will Avatar 2 Share the Same Fate as Alice Through the Looking Glass? How about this for a topical article? A lot of people wanted Britain to stay in the European Union, but the Brexit vote last week dashed their hopes. However, through the centuries not everyone has been too keen on having the British around. So here are five films about different countries forcing the British to leave, as well as a little information about what happened after Britain’s withdrawals. In the Brexit vote Scotland voted overwhelmingly to remain in the EU, putting it at odds with other parts of the United Kingdom. Because of this stark division of viewpoints, it’s looking like they might just follow through on their dream of seeking independence from the rest of England. It wouldn’t be the first time, as anyone who’s seen Braveheart knows. Braveheart, of course, tells the story of 14th century commoner William Wallace who led a rebellion to fight for Scottish independence. 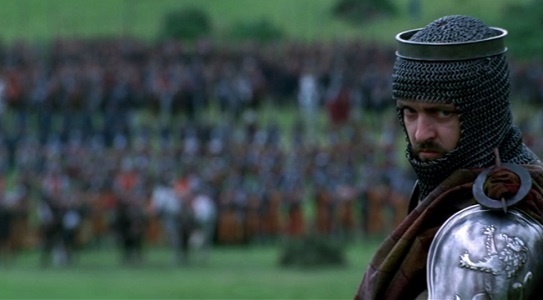 He dies in the attempt, but he inspires the nobleman Robert the Bruce to become King of Scotland and lead his men to true freedom against the superior military forces of the evil King Longshanks. Scotland maintained its independence for hundreds of years until its reunification to the rest of Great Britain in 1707. But that’s a whole other story. The British are portrayed a bit better in Exodus. Sure, they’re constantly trying to keep the poor Jews from reaching their homeland and setting up their own nation of Israel, but they come across as honorable keepers of the peace. They’re just trying to do their job. 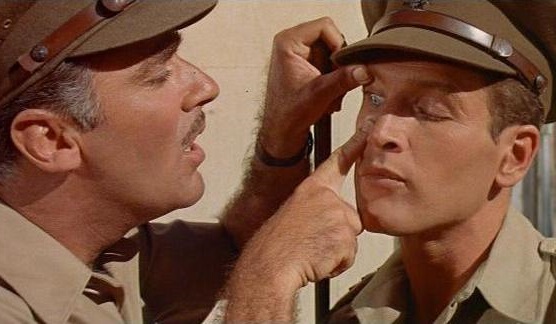 The Jews in the film use different tactics to try to get the British to leave Palestine, sometimes resorting to terrorism. In the end, diplomacy wins out and Israel becomes an independent nation through a United Nations vote. The Jews are gracious when they accept this victory. Things haven’t been all rainbows and sunshine since the Brits’ departure, but that just comes with the territory of running a sovereign nation. Mahatma Gandhi understood the British all too well. He knew exactly how to win independence for India. He used astonishingly successful shaming tactics to make the British feel that they were acting dishonorably against disarmed people who refused to fight back. Gandhi’s “passive resistance” demonstrated that when enough subjects refuse to cooperate with a system that they believe to be unjust, there is no way that the enforcers of that system can win. 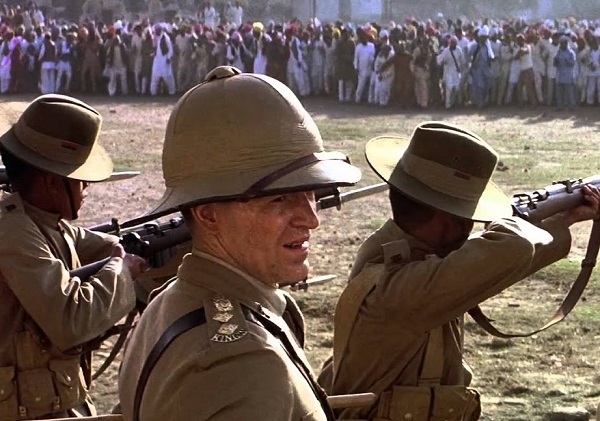 Again, the British aren’t exactly portrayed as bad guys in 1982’s Gandhi. In fact, in one scene a British officer flat out tells Gandhi that if the British leave, the country will be torn apart by competing religious factions. And he’s proven correct. The film portrays the mass exodus of Muslims to the newly formed country of Pakistan and the sectarian violence that ensued. Only by threatening to starve himself to death was Gandhi able to restore peace to his homeland. Ah yes, the other Mel Gibson film about fighting the British. The Patriot finds the Australian actor portraying an American family man who joins the American Revolution to protect his children. 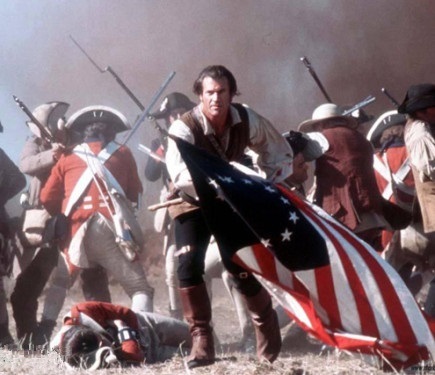 It’s really hard to find decent movies about the Revolutionary War, but this one stands as a solid entry, despite never showing George Washington or pretty much any of the other Founding Fathers. It mostly comes across as a personal struggle between Gibson’s character and a tyrannical British colonel. The United States of America is, by far, the most successful former British colony. It has far surpassed its mother nation and continues to be my favorite country in the whole world. Okay, so Rush Hour isn’t primarily about Britain ceding control of Hong Kong back to China on July 1, 1997. But that monumental transfer of power kicks off the story and plays a crucial role in where the British and Chinese characters wind up and how they interact with each other. A corrupt British commander loses a fortune’s worth of ancient Chinese artifacts to the Chinese consul, so he comes to America and ransoms the consul’s daughter in an attempt to get his money back. But he didn’t count on the resourcefulness of Jackie Chan and Chris Tucker to foil his plan. Hong Kong has long served as a beacon of laissez-faire capitalism to its communist neighbors. Over the past two decades since Britain relinquished its rule, Hong Kong has mostly been left alone to pursue its decidedly British way of doing business. Hopefully that will continue to be the case far into the future. This is all in good fun. I wish nothing but the best to my wonderful English friends across the pond. May your Brexit go smoothly and your future be filled with economic success. This entry was posted in Random Stuff and tagged america, braveheart, brexit, britain, china, england, exodus, gandhi, great britain, history, hong kong, india, Israel, rush hour, the patriot. Bookmark the permalink. Once again you point out some of my favorite movies and remind me just how rich the heritage between Britain and the rest of the world is. It used to be said that the sun never set on the British empire. Now that empire is gone, but its impact will never die.